This emergency water spigot assembly works with all of our bulk water storage drums and containers. 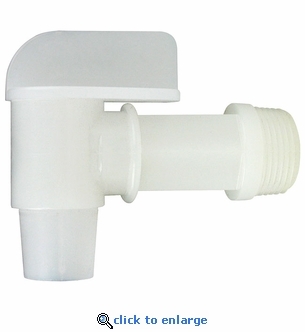 Simply screw it in to the 3/4" knockout cap and you have a convenient and easy to use faucet. Turns off or on with a simple twist. Not recommended for use with flammables or temperatures above 125° F.